Chelsea manager Maurizio Sarri admitted it will be hard to deny Eden Hazard a move to Real Madrid this summer, even if a reported 100 million pound ($130 million) move is "too cheap" for the Belgian captain. Soccer great Pele has been released from hospital in Paris and will return to Brazil in the “coming hours,” Brazilian media reported Monday, citing his spokesperson. People compete in the second stage of the Marathon des Sables between Tisserdimine and Kourci Dial Zaid in the southern Moroccan Sahara desert Monday. The 34th edition of the marathon is a live stage 250-kilometer race through a formidable landscape in one of the world's most inhospitable climates. 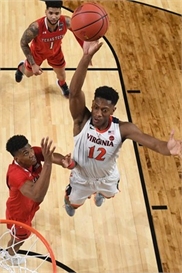 The University of Virginia captured their first US men's college basketball championship on Monday night, with a 27-point performance from De'Andre Hunter to beat Texas Tech 85-77 in overtime. 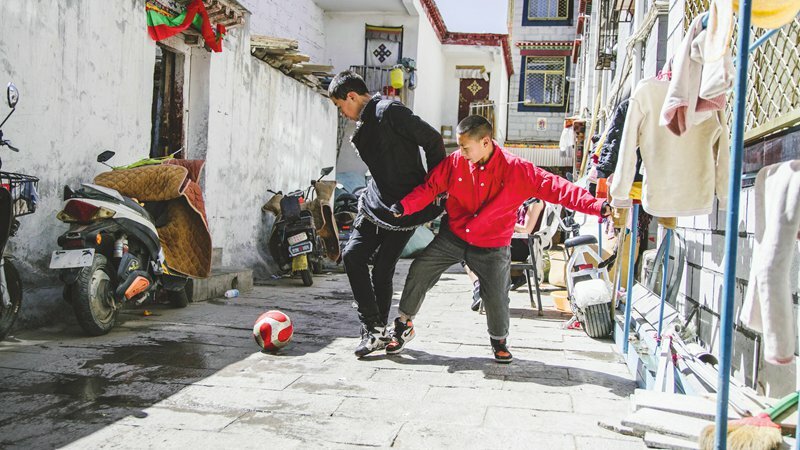 The election of a high-level Chinese official to the FIFA Council has reignited soccer fans' hopes of the country having a bigger role in international soccer, with some sports insiders speculating that it will help China bid for the World Cup. Racing Club's forward Lisandro Lopez holds up the trophy and celebrates with teammates after winning the Argentina First Division Superliga soccer tournament at Presidente Juan Domingo Peron stadium, in Avellaneda on Sunday. American teenager Caroline Marks became the first woman to earn the same prize money as the men's champion after winning the season-opening World Surf League (WSL) event in Australia on Monday.